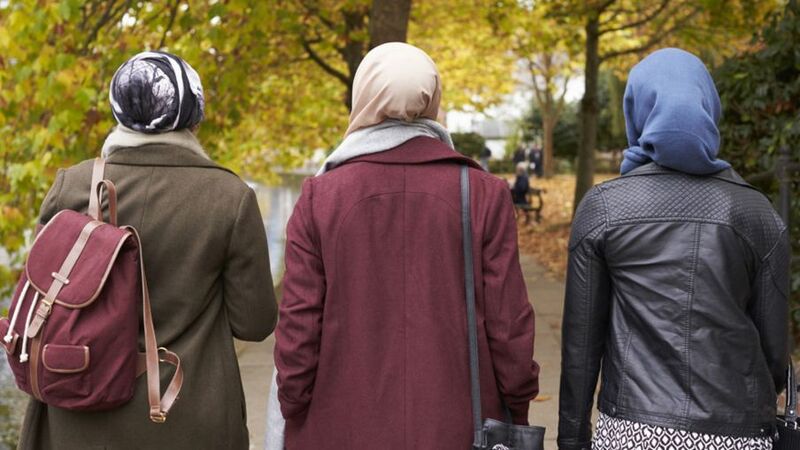 Probashbangla24 online Desk : There has been a surge in reports of hate crime directed at people in England and Wales because of their religious beliefs, new figures show. It rose by 40%, from 5,949 last year to 8,336 this year, according to the Home Office data. Most religious hate crime – 52% of all offences – was aimed at Muslims. The total number of hate incidents reached a record 94,098, from April 2017 to March 2018 – a rise of 17% from the previous year. Just over three-quarters of those reported incidents – a total of 71,251 – were classified as “race hate”. Hate crime is defined as an offence which the victim considers to be driven by hostility towards their race, religion, sexual orientation, disability or transgender identity. It can include verbal abuse, intimidation, threats, harassment, assault and bullying, as well as damage to property. The religions that police count hate crimes for are: Buddhist; Christian; Hindu; Jewish; Muslim and Sikh. They also have categories of “no religion”, “other” and “unknown”. Crimes targeted at people because of their sexual orientation made up 12% of the total (11, 638), with religious hatred at 9%, disability hate 8% (7,226) and transgender hate crimes 2% (1,651). Offences are classed more than once if they have multiple motivations. According to the police figures, the number of hate crimes has more than doubled since 2012/13, when 42,255 were recorded. It is partly because of improvements in the way crimes are reported, but there have also been spikes of hate crime after events like the Brexit referendum and the terror attacks last year. The Home Office report said the large increases “may suggest that increases are due to the improvements made by the police into their identification and recording of hate crime offences and more people coming forward to report these crimes rather than a genuine increase”. Today’s figures are the first official national count of the perceived religious target of a hate crime since ministers ordered all police forces to keep a tally. It provides some real depth to a complex and little understood phenomenon. The number of offences targeted at Muslims or Jews was far greater than their respective proportions of the population of England and Wales. The detailed monthly figures also confirm what experts have long said – that moments of tension such as the 2016 Brexit vote, terrorism incidents or international crises trigger short-term “spikes” in hate. And the figures reveal that people who are targeted at home are twice as likely to be repeatedly victimised than those accosted in the street, because abusers will keep coming back. Curiously, police recorded 237 incidents where the perceived target religion was “no religion” at all. We’ve asked the Home Office to explain how that can be a religious hate crime – they don’t know why the police recorded the figures that way. They stress that this is the first set of statistics and – as such – is experimental, adding that it will be improved in the future. One element these figures simply don’t cover is sectarianism – where one branch or sect of a faith targets another. While this is fully understood in Northern Ireland, it goes less noticed in the UK, despite the fact that it does happen. There is definitely evidence of tensions between some Sunni and Shia Muslims, the two traditions of Islam, and documented persecution of the separate small Ahmadiyya community, which is theologically rejected by others. The figures were revealed as the Home Office announced a review into whether offences motivated by misandry – prejudice against men – should be classed as hate crimes. If so, it could lead to tougher sentences. Last month, it was announced that a review by the Law Commission would look at whether offences driven by misogyny – dislike, contempt or ingrained prejudice against women – should be treated as hate crimes. It’s now emerged that the same review will also consider hostility towards men. Ageism and hatred of certain alternative cultures, such as Goths or punks, could also be included in future. 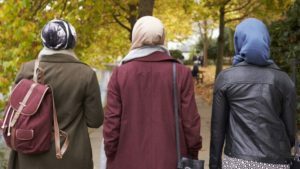 Yvette Cooper MP, chairwoman of the Home Affairs Select Committee, said: “Hate crimes can be devastating for victims, deeply divisive for communities and dangerously linked to extremism. It was also announced on Tuesday that despite the increase in recorded crime, the number of completed prosecutions fell from 14,480 in 2016/17 to 14,151 in 2017/18 – a drop of 329, or 2.3%. The Crown Prosecution Service (CPS) said the conviction rate in hate crime cases was 84.7%, up from 83.4% the previous year. Are delaying tactics the answer for May?